BRIGHTON, Mich. - The 2014 Ford Transit Connect has won the "International Van of the Year" at the COMTRANS commercial vehicle exhibition, making it the first single manufacturer to win the award for two years in a row. 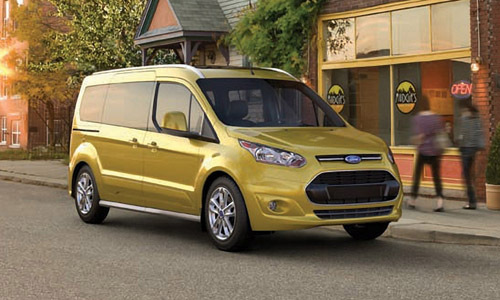 The 2014 Ford Transit Connect has actually received the award five times, but this year marks two consecutive years. 24 specialist journalists gave the Transit Connect 130 points out of 163, pushing the Ford Transit to number one. The points come after the jury took the new Transit Connect's changes into consideration. The current model has class-leading fuel economy, getting up to 70.6 mpg with the ECOnetic model. It also has 77 cubic feet of customizable storage, which gives drivers an insane amount of space to haul objects or carry passengers. The Transit Connect comes in three styles: Van, Double-Cab-in-Van and Kombi - all three of which offer tons of space and a practical load area. If you're interested in this 2014 Ford Transit Connect that has just won "International Van of the Year", it will be available for purchase near the end of 2013. While you may have to wait a bit for the all-new Transit Connect, we do have a wide selection of connects on our lot right now. So stop by our Livonia Area Ford Dealer today and one of our knowledgeable team members will set you up with a test drive. We are also available to answer any questions or handle any concerns you may have about any New Ford Cars, New Ford Trucks, or Certified Pre-Owned Cars For Sale. So come see us today!